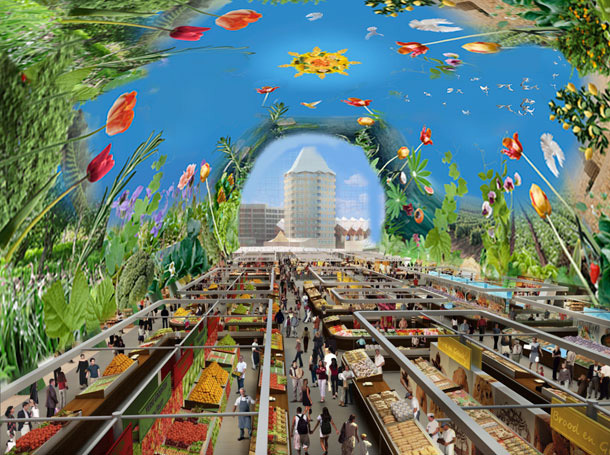 « Earth in the Markthal » - a parallel world according to multiple time axis The ultimate importance of food(!) is to maintain life itself. Including human, every species on Earth is born from Nature and then returns to Nature. Each cycle of Life depends on the coexistence and relationships with its surroundings, that is representing the ecosystem of the Earth. 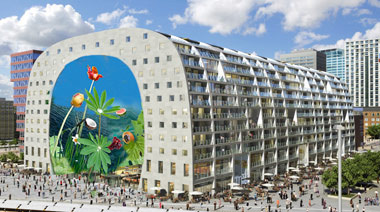 Thus I would imagine and like to present the Markthal as another narrative of the Earth and its environment. 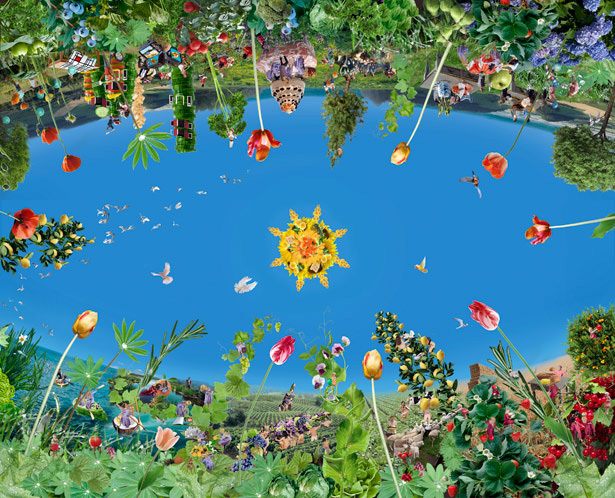 Expressing my core concept of this work, “ We all live under the blessings of Nature ”, through the composition, circulation and relations of the source of Life which are . A mythological space. 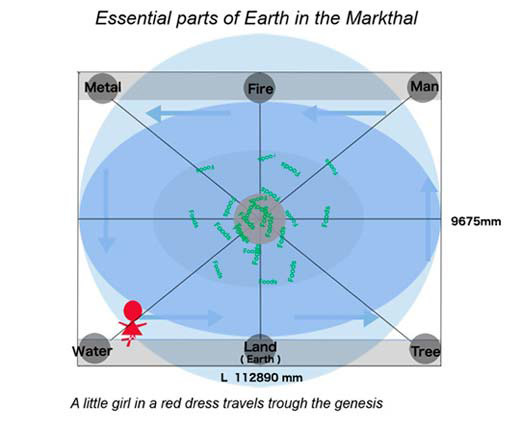 History, Process plants grow, these different time axis are playfully fused in my work to create a parallel world, in which across another narrative about a little girl in a red dress. Although she is living in the present era, she travels through the myths created with food and daily products, and joins the fairy tails of the five elements in her imagination. Just like other myths, it is an exciting adventure with full of important life lessons.